New York Times headline, August 27, 1911. The Martians had been pretty busy! 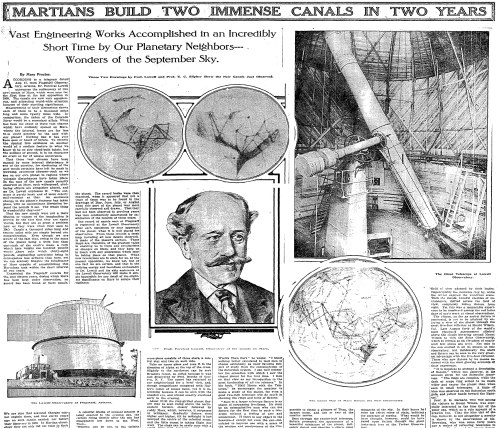 This entry was posted in Front Page and tagged astronomy, history, mars, new york times, percival lowell, Posthorn, Repost, Tumblr on 27/08/2013 by John.